Home › Buy A Brick, Build A Gym! Reserve your brick today, or contribute toward a class brick, payable over four years. Buy A Brick, Build A Gym! 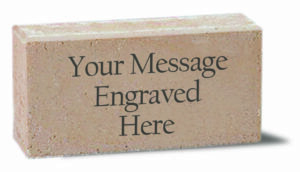 Reserve your brick today, or contribute toward a class brick, payable over four years. How many bricks would you like? To purchase additional bricks, please resubmit the donation form. Purchase a brick paver and build a path to our gym! Make your gift now or pledge over four years. This is an exciting time at John Bapst. We’re building a new practice gym and fitness center so that our students will enjoy an even better educational experience. Please join us by putting your family name – or the name of your son, daughter, or grandchild – on a brick at our brand new building. We hope to sell 1,000 bricks by Labor Day – and start building our new gym next spring! Bricks are $500 each and will be a significant donation to the school! Care to make a gift as a member of your class? Alumni are joining together to purchase class bricks. It’s easy! Tell us your class year when you make a donation of any amount. We’ll track your gift and let you know when your class reaches $500. We’ll promote your class’ progress on social media. Join your classmates and make a gift now. All donations to the campaign are tax deductible to the full amount allowed by law. Prefer to pledge and donate by mail? Download our printable donation sheet and pledge over four years. Click here for additional Love That School! The Campaign For John Bapst donation options.